Headquarters Move - Integrus Holdings, Inc.
ASHBURN, VA (JULY 2017) — FORTESSA TABLEWARE SOLUTIONS, LLC, a global leader in providing premium tableware to culinary professionals, the international lodging industry, and high-end retailers, announces its headquarters has moved to ONE LOUDOUN, an emerging commerce hub of Loudoun County and Northern Virginia’s robust international business community. The move reflects the Company’s continued growth and vitality as it increases its impact on marketplaces around the globe. The company’s new headquarters creates a dynamic space for employees, domestic and international customers and visitors, and showcases its world-class products in a spacious new showroom.The Headquarters uses a circular, flowing design to reflect the unity of the Company’s core values of integrity, innovation, loyalty, and leadership. This design promotes communication and teamwork, so that employees can easily access the strengths of their colleagues in service to customers and business objectives. “Fortessa Tableware Solutions- an international leader in the markets we serve, is delighted to take its place in the heart of a vital, commercial network and community. The new location in One Loudoun will add value to our customer relationships by enhancing our internal working processes and furthering our program of recruiting, developing, and retaining world-class talent. It is a pleasure to be able to move into a facility that we’ve designed from the ground up to reinforce our corporate culture and identity,” commented Scott M. Hamberger, co-founder and CEO of Fortessa Tableware Solutions. New Address: 20412 Bashan Drive Ashburn, VA 20147All other contact information will remain the same, including the phone number: 703-787-0357. FORTESSA TABLEWARE SOLUTIONS™ is an integrated designer, developer, and marketer of commercial and consumer tableware, serving the commercial food service market globally as well as the high-end consumer market. We add value to customers across a variety of industries by identifying their marketing objectives and providing solutions that enhance the profitability of their businesses. 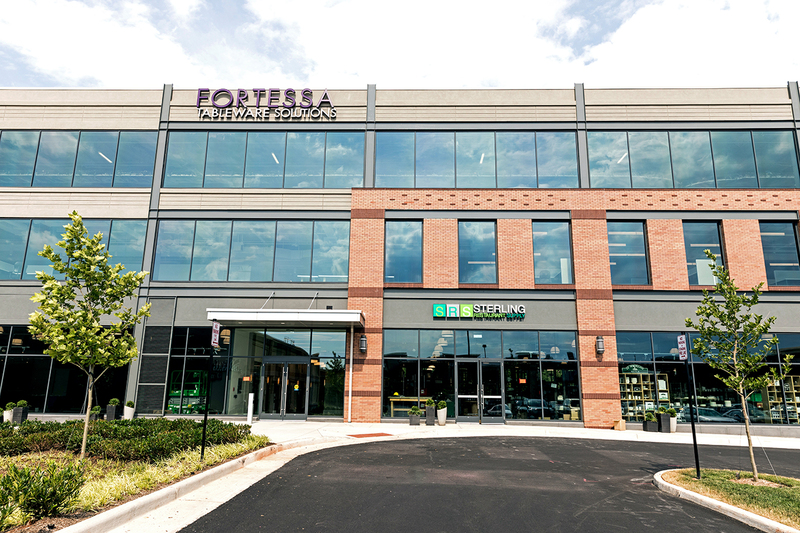 Passion, innovation, and customer satisfaction are at the core of the Fortessa experience, making the value promise, “Where new ideas take shape” more than just a slogan, but an integral part of the culture.